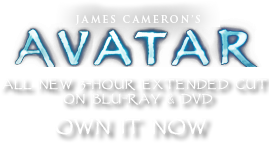 The Avatar Program | Pandorapedia: The Official Guide to Pandora | Own AVATAR on Blu-ray & DVD Now! The cloned avatar has the body structure and physiology of a Pandoran native. However, adding the human genes necessary to create the mental linking ability to the avatar's genetic makeup altered the anatomy to the extent of producing five digits (different from the normal four on a Na'vi) on the hands and feet, and reducing the size of the eyeballs. The reason for this is not yet known. The Avatar Program was initiated to improve communication with the Na’vi, the intelligent humanoid inhabitants of Pandora. Human volunteers are paired with avatars, which are artificially created human/Na’vi hybrids controlled by persona projection technology. While the human controller remains in a sleep-like state in a psionic link unit, his or her personality inhabits and completely controls a custom-made Na’vi body. The link is total; the human believes he is actually inhabiting the Na’vi body, with all senses, reflexes and bodily functions fully operational. The avatar body, having been grown in an amnio tank with the help of growth accelerants, has no personality of its own and is inert (except for basic autonomous functions) when not under human control. Each avatar is specially made using genetic information from its human controller and despite obvious differences in size and physiology is equivalent to its controller’s twin. This genetic matching is necessary to allow morphic projection to operate on the alien body; attempts to use unmatched bodies have invariably failed. Originally part of RDA’s Na’vi outreach program instigated at the behest of Earth government authorities, the Avatar Program has moved from being a poorly-defined xenobiological experiment controlled by Earth-based bureaucrats, ivory-tower academics and populist politicians to become a tightly-managed engineering project incorporating the most advanced technology from RDA’s labs. 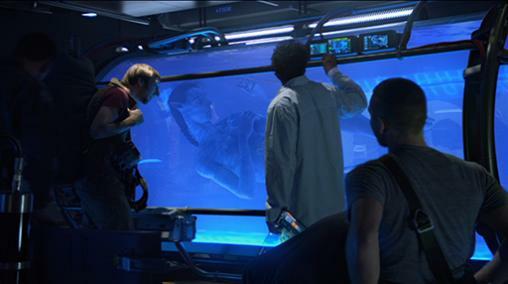 The existence of the Na’vi was the most surprising discovery on Pandora. For theoretical reasons, intelligent life was not expected to be found here. Given the known age of the galaxy and the relatively brief period since the evolution of man, it was assumed that any alien intelligence would be far older and more sophisticated than us, would have an advanced technological civilization and probably not be humanoid. Thus the discovery of jungle-dwelling neolithic humanoids was not anticipated. Under strong pressure from the UN, scientists and the general public, the RDA agreed to set up a program to enhance communications between humans and Na’vi. At first this consisted solely of an Indigenous Terrain program to study Na’vi culture and language and to attempt to establish communication between man and Na’vi. But practical difficulties soon showed a need for a more profound means of communication between the human and Na’vi species. RDA research had already established the possibility of direct mental communication between humans, and RDA scientist Dr. Cordell Lovecraft was given the task of carrying his “Dark Dreamer” project, which sought to transmit mental processes – “thoughts” – to humans at a distance, to interspecies communication. Initial dissection of Na’vi specimens found that although Na’vi show a surprising degree of external convergent evolution, internally they are quite different from humans. The Na’vi brain in particular, with its external tendrils and three-lobed structure was a daunting obstacle. Building on work with brain-wiped primates and condemned criminals, Dr. Lovecraft was able to establish that full sensory bonding could be established between human twins, human-animal hybrids that shared common DNA, and human-Na’vi hybrids with common genetic blueprints. Since Na’vi don’t use DNA or RNA to carry their genetic information, producing a ‘translation table’ that matched DNA with NVTranscriptase closely enough to allow a level of morphic resonance strong enough for communication to occur required months of computer time and multiple failed experiments, some of which caused irreparable trauma to volunteer subjects. But eventually the Avatar Program succeeded in producing the first viable hybrids between completely unrelated species – a considerable achievement since, as Dr Lovecraft remarked, humans are far more closely related genetically to garden slugs than to Na’vi. With the help of psionic amplification, and thanks to customized reception nodes grown into avatar brains from their earliest blastomere stage of development, human drivers can now operate their avatars at distances of tens of kilometers. Owing to poor measurable outcomes in the field, the Indigenous Terrain program and the Avatar Program were eventually merged, with only limited informal research still conducted into Na’vi culture by human avatar operators. Currently avatars are mainly used for reconnaissance, liaison and exploration, but if native Na’vi are recruited into the mining workforce it is anticipated that more avatars will be needed for supervision and policing. Dr. Lovecraft has been nominated for multiple Nobel prizes in biological sciences, but the nominations have invariably been withdrawn following protests from human rights organizations, the UN Pan-Faith Council and animal rights activists. Notes Only twenty avatars have been produced thus far.